We’ve been decorating our house with some of our work. It is nice to see our work off of the computer and on the wall! Not only that, but it reaffirms that we are doing something right! 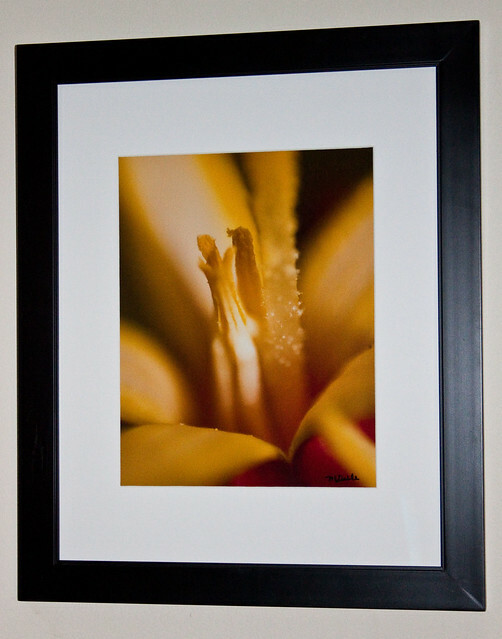 Chris ordered canvas prints from Pixel 2 Canvas because they had a discount sale on particular canvas sizes. 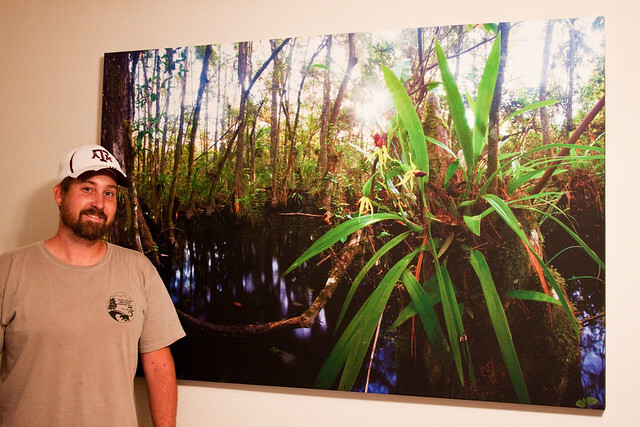 He opted for a 40×60 print of this shot taken in Fakahatchee Strand. 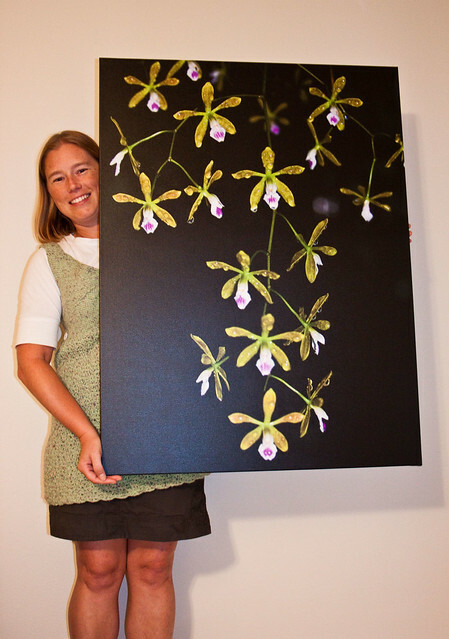 The flowers up close are clamshell orchids, Encyclia cochleata. I was hesitant about the shot on the computer but I really love it printed. You can almost feel like you are walking through the swamp! I went back and forth on what I wanted to print. What I liked, Chris didn’t. Not to say he didn’t like them, just not for our decor. 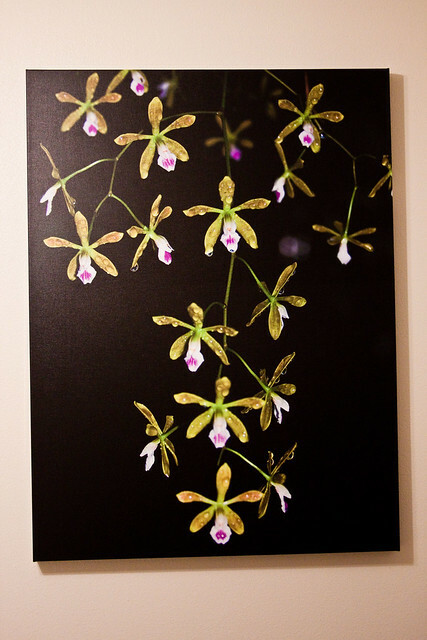 We ended up settling on this macro shot of butterfly orchids Encyclia tampensis taken at Myakka River State Park several years ago in Florida. 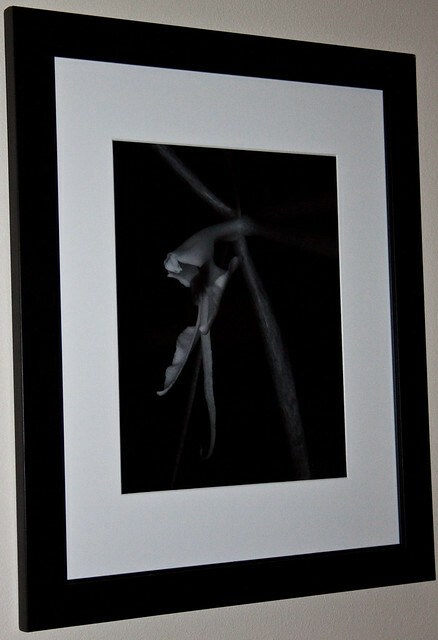 I’m very happy with this shot and I know that I have some others of the butterfly orchids that I want to have printed one day. We had small prints done as well. This one and the next are mine. Shot at an angle to keep the flash from bouncing. Just quick shots done for the blog. I can’t remember where Chris ordered this canvas from but it was different than Pixel 2 Canvas. 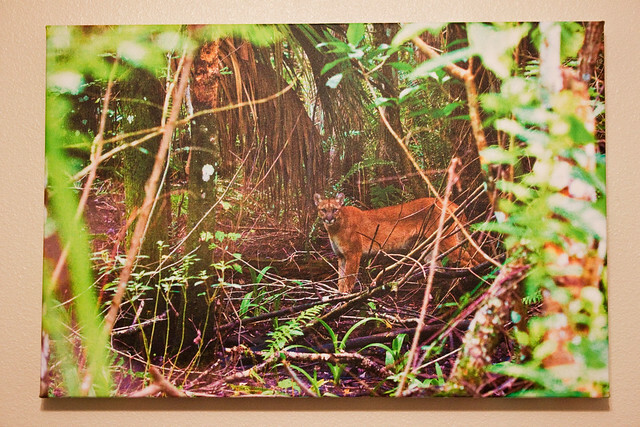 This is the panther he saw last July in Fakahatchee. That is so special, Misti! 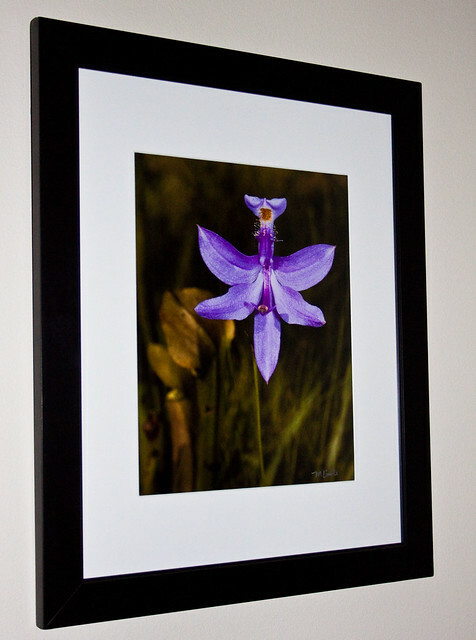 I am so jealous that you can take such gorgeous photos AND hang them in your house. They look amazing! Those are terrific! 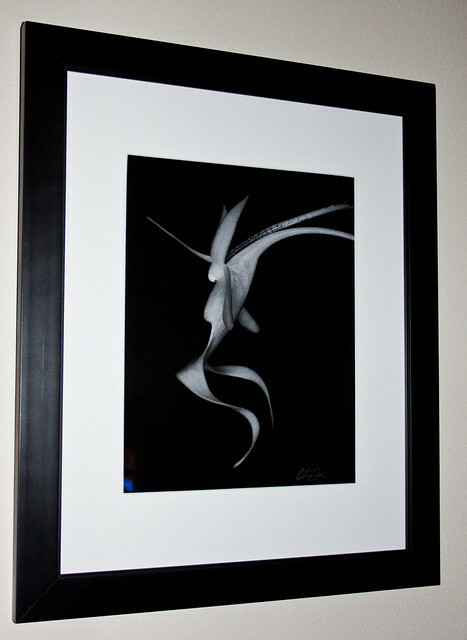 It must feel really good to see your own work on the walls. Yay for you guys…beautiful! They all look awesome! I like using Pixel2canvas for my stuff. They do a great job on printing. That clamshell will brighten up any room in the house. Beautiful! I love the Florida photos! They are all beautiful.